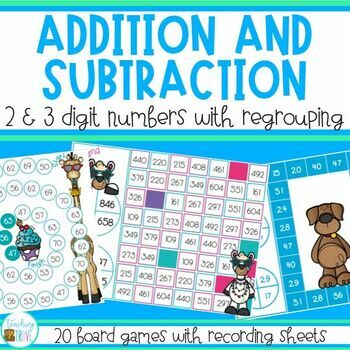 Addition and Subtraction with regrouping games give your students the valuable practice they need to master 2 or 3 digit addition with regrouping or 2 or 3 digit subtraction with regrouping. More motivating than a worksheet, your class will love this hands-on approach to consolidating regrouping with multi-digit numbers. 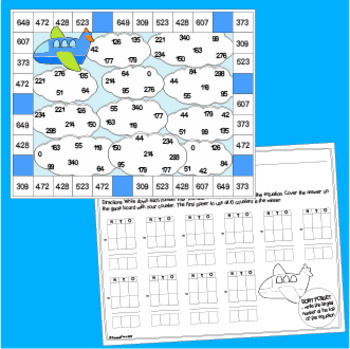 Each game requires players to either add or subtract 2 or 3 digit numbers and record the equation they've made before they can move on the game board. The self-correcting element of the games ensures that students get the answer correct or find their mistake if they've made one. 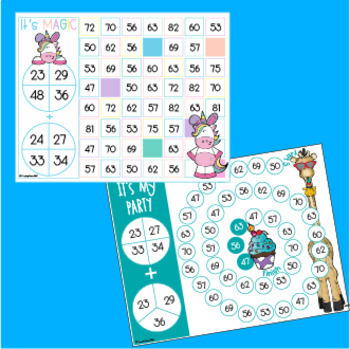 Just print each game with its illustrated rules (there's no cutting involved) and place them in your math centers. Include the recording sheets and collect them at the end of the session to include in student portfolios. 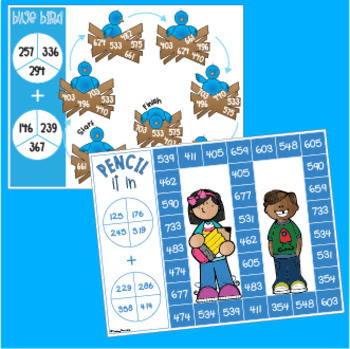 You'll be provided with valuable data on who requires more support with multi-digit addition and subtraction with regrouping.